This post will help you understand some of the essentials involved in preparing your mare for breeding, and some questions you should ask yourself before you begin. Before you can even start examining your mare’s suitability for breeding, there are some points you need to consider. Is Your Mare a Good Earner? The answer to this question will help you determine what kind of stallion you need to find for your mare. If your mare has competed, how much has she earned in her lifetime, or how many points has she racked up? Even if you have a mare with an excellent line, it doesn’t necessarily mean her foal will be worth a lot. Instead, the money and points she’s earned will play a vital role in her foal’s value. And if she hasn’t earned much from competitions, it would be wise to find a stallion that’s racked up a lot of points or lifetime earnings. This can help increase the foal’s value, and ensures that when and if you part with it, it will have the best chance at a happy and productive future. It takes a lot of money to breed and raise a foal. You will have to pay for the breeding contract (stud) fee, first of all. There will be a lot of veterinary fees involved, especially if you choose to breed the mare through artificial insemination, and charges for vaccinations and ultrasounds. You’ll also have to spend extra on maintaining proper nutrition for the mare. Your mare will require a much larger quantity of grain and hay while she is pregnant. And you might even need to feed her supplements to ensure that she gets sufficient nutrition. Of course, the expenses will continue to add up even after the foal comes, meaning you have to be financially prepared before breeding your mare. Are Your Facilities Suitable for Raising a Foal? You should also consider beforehand whether your facilities are suitable for raising a foal. If you board your mare, consult the barn owner to ensure that there will be a safe living environment for the foal and a dedicated foaling stall when the time comes. If you have your own property, you’ll need to invest in a foaling stall or make arrangements for your mare to foal at another facility. 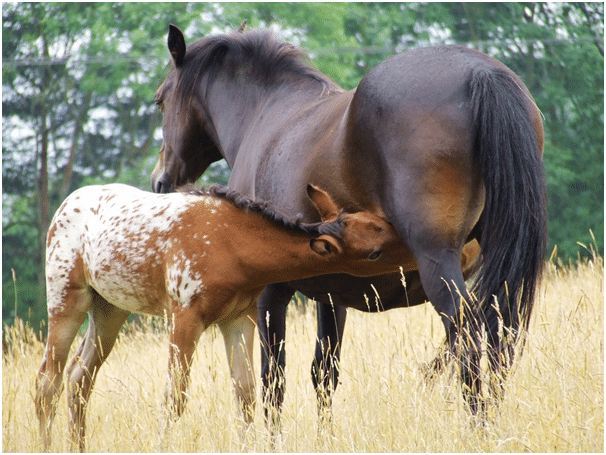 Although there is some disagreement between different horse owners on where mares can give birth, it’s crucial that there is plenty of space. While wild horses give birth in pastures and most do it successfully, a foaling stall is crucial if there are problems during delivery. A large stall is ideal after you ensure that there are no cracks, holes, or sharp objects. 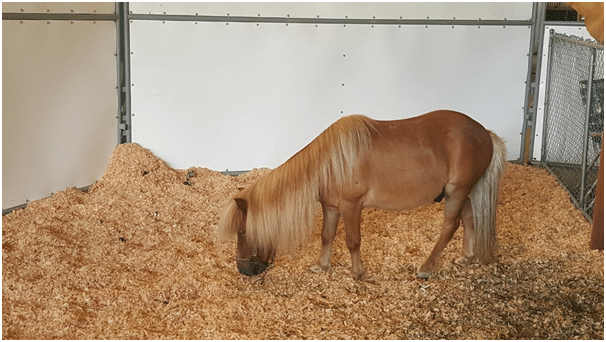 As your mare approaches her due date, the stall should be kept as sterile as possible, with good quality shavings that are frequently changed. The vet will ensure that your mare has good physical health so that there are no complications during her pregnancy. It’s important to ensure that she doesn’t have an orthopedic disease that could prevent her from being ridden. Chronic lameness or arthritis can pose a problem when she gets heavier with pregnancy. Your broodmare should have a healthy body weight. She should have a body condition score between 5 and 7 out of 10. There will be conception issues in mares that are either too thin or too fat. In addition to this, the vet should also address health issues such as insulin resistance and Cushing’s disease. An examination of the cervix is important for determining whether or not the mare’s estrous cycle has begun. The process will also help in identifying any signs of infection, inflammation, or pooling urine. The vet will also check if there is any scarring in the cervix, which can result in dilation complications. Additionally, the vet will make sure that the cervix can close completely without any issues. Otherwise, the uterus can get contaminated and this could lead to chronic inflammation and infection. The vet will also try to identify inflammation and infection by performing uterine culture and cytology. The process will help in discovering the presence of bacterial, fungal, or yeast infections. Cytology will help in discovering the presence of inflammatory cells as well as bacteria, debris, mucous, fungus, and yeast. All of this is crucial since inflammation can prevent a mare from conceiving properly. In addition to these, the vet may need to perform other tests based on the mare’s condition and health history. Clitoral swabs, uterine biopsy, rectal exams, ultrasounds, blood tests, and vaccinations may also be necessary. All mares within the U.S. are required to be tested for Equine Infectious Anemia, which can be done using the Coggins test. In case the vet identifies any issues during the pre-breeding exam, they will recommend solutions as required. 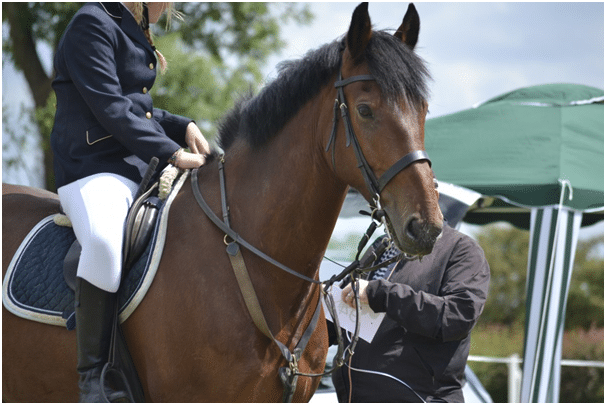 For instance, hormonal drug therapies may be recommended if the horse experiences abnormal cycling. And a Caslick’s operation can help improve vulvar confirmation. Other than these pre-breeding essentials, you should also try to time the mating to coincide with your mare’s ovulation. This will increase the chances of conception. Your vet will be able to help you in predicting when your mare will ovulate so you can make preparations accordingly. Got any questions about these tips? Share them in the comments below or contact us directly.